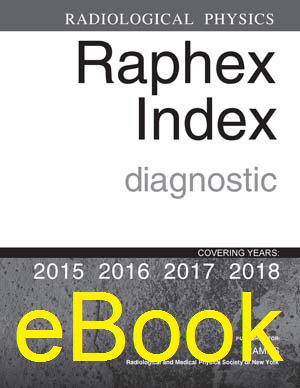 A set of the previous 4 years (2015-2018) of RAPHEX Q&A Booklets with a specially prepared Index designed to help in studying for board examination or residency requirements. Exam and Answer booklets are printed in full color. The Diagnostic Collection is an excellent resource for residents in Radiology, Radiation Oncology and Medical Physics to use as practice exams or for self study.